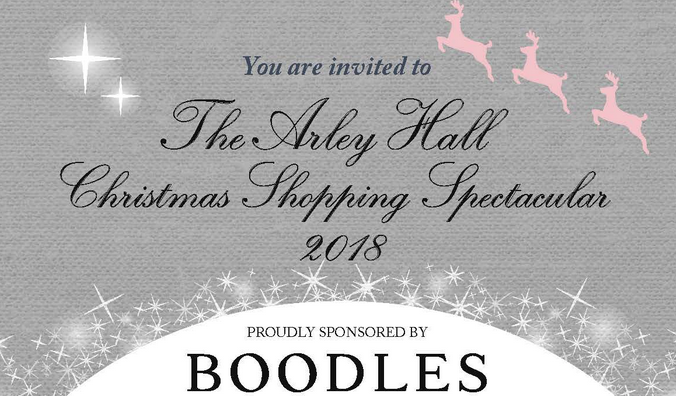 The Arley Hall Christmas Shopping Spectacular is a fabulous event sponsored by Boodles. This is a charity event run by volunteers in aid of The Joshua Tree, who support families across Cheshire and the North West who are affected by childhood cancer. Over 60 stalls featuring exquisite gifts, stunning food and treats. The event is spread across the evening of Tuesday 13th November (6pm – 10pm) and the daytime on Wednesday 14th November (9.30am – 4pm). For more information & to purchase tickets, please visit the event website.